Posted by slvrhawk2014 in Beef Dishes, Food, Photography, Travel, Washington D.C.
cherry blossoms, Food, photography, Travel, Wahington D.C. So, what’s the story behind the cherry blossoms? We have all been taught that the cherry trees were a gift from the nation of Japan to the United States. While this is true, it is only a small part of the story. Long before the cherry trees appeared on the Tidal Basin, a woman named Eliza Skidmore was advocating their being planted along the Potomac River. When she returned from a trip to Japan in 1885, she approached officials of the United States government, asking them to purchase cherry trees from that country. She was unable to convince anyone in the government that it was a good idea, but the idea had indeed been planted! In 1906, Dr. David Fairchild ordered two different varieties of cherry trees from Japan which he planted on his own property in Chevy Chase, Maryland. He found that the trees grew very well in the climate of the area, and he began to encourage the government to plant cherry trees along the avenues in Washington, D.C. On Arbor Day, 1908, Fairchild gave saplings of his cherry trees to each school in the District of Columbia to be planted on the school’s grounds. This weeping cherry tree is one of the varieties planted by Dr. Fairchild on his private property. When Eliza Skidmore learned of Fairchild’s plan for cherry trees, she sent a letter to the new first lady, Helen Taft. 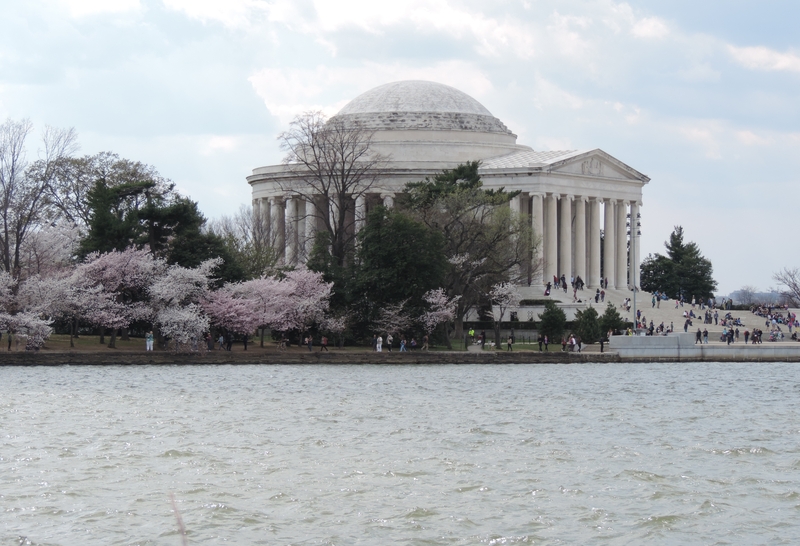 Mrs. Taft was very excited by the idea and made plans to purchase cherry trees to beautify the Tidal Basin area, which at the time was a huge swampland. 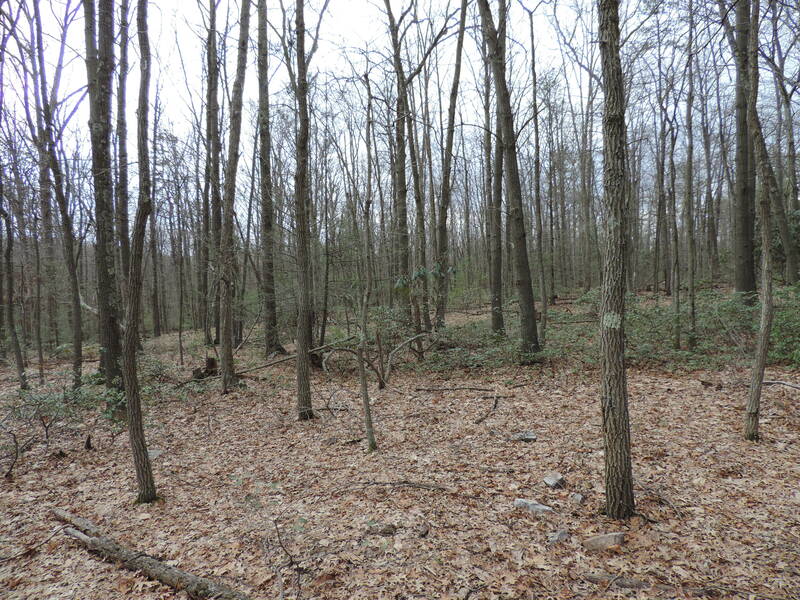 At that same time, the country of Japan asked the United States if it would accept a gift of 2,000 additional trees as a gift from the city of Tokyo to be planted in the nation’s capital. 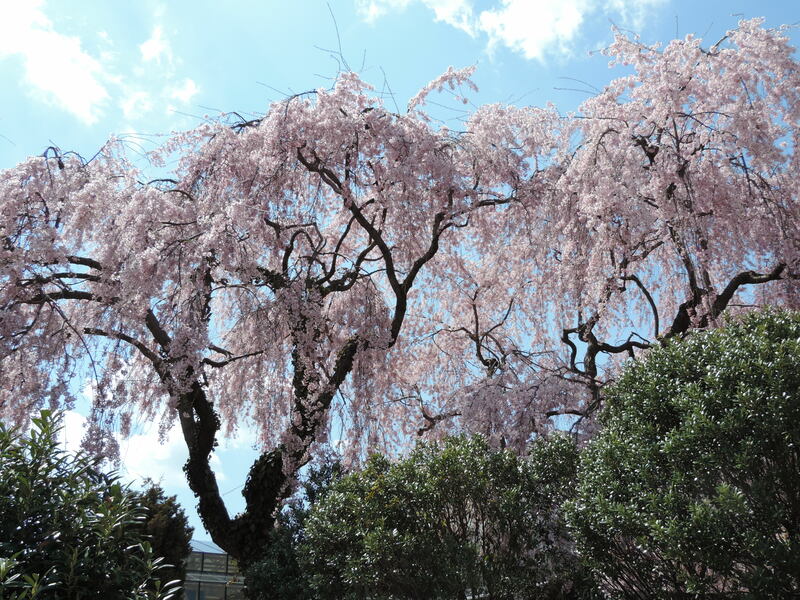 The trees that were purchased turned out not to be cherry trees at all, while the trees sent from Japan were infested with insects on arrival and had to be destroyed. The city of Tokyo decided to replace the infested trees, and on February 14, 1912, Japanese authorities shipped 3,020 trees of twelve different varieties to Seattle, WA, where they were moved to freight cars and carried by rail to Washington, D.C. In 1965, the Japanese government gave 3,800 more cherry trees to First Lady, Lady Bird Johnson. 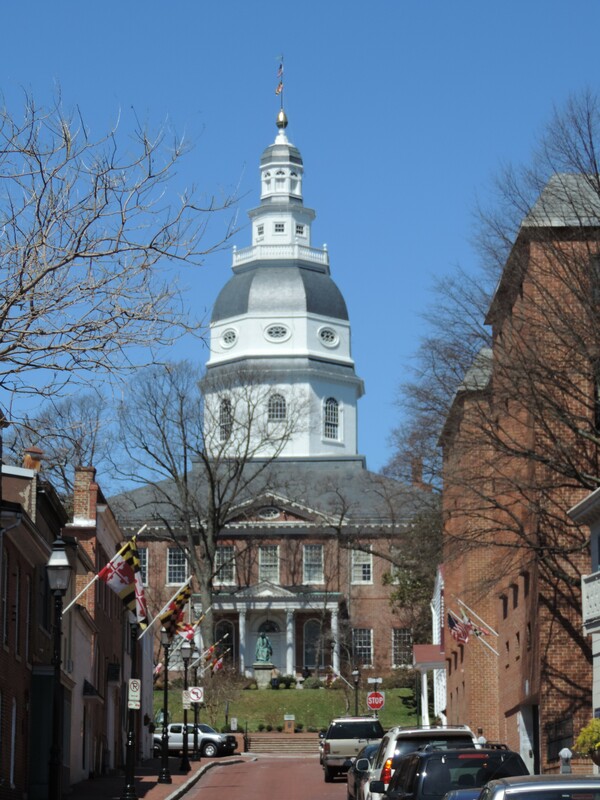 Those trees were planted on the grounds of the Washington Monument. 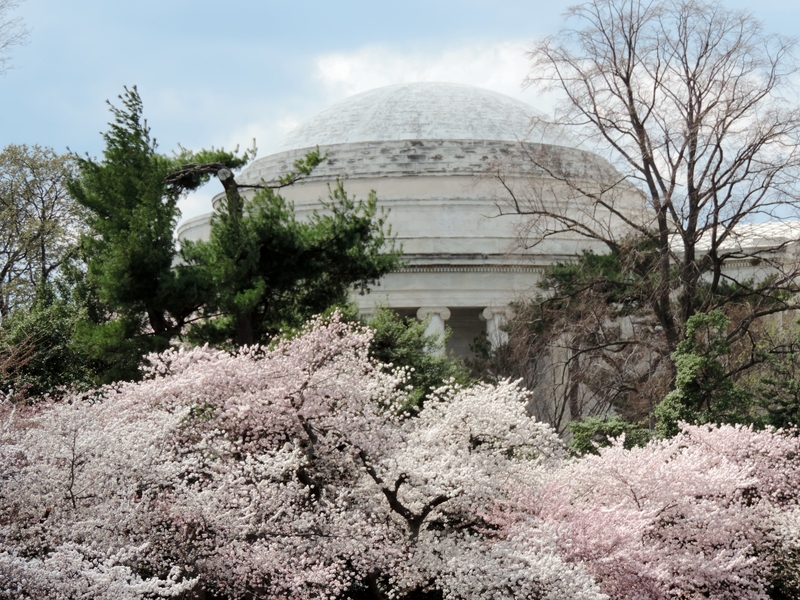 Today, the cherry blossom trees are cared for by the National Park Service. They bloom each year, any time between March 5 and April 18. The blossoms last for approximately fourteen days. They are beautiful and well worth a trip to our nation’s capital! This is a view across the Tidal Basin to the city of Arlington, VA. 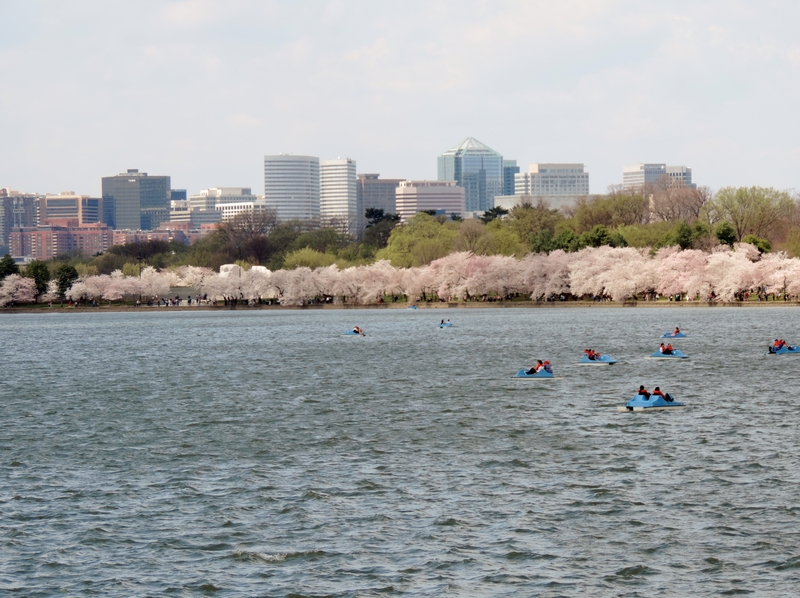 The paddle boats are a fun way to view the cherry trees and can be rented for a reasonable fee. President William H. Taft was a big man and an equally big eater. He enjoyed good food and lots of it. During his years in the White House, he is said to have enjoyed an 8 oz. steak each morning for breakfast. In the book, The President’s Cookbook, by Cannon and Brooks (Funk & Wagnells: New York) 1968, the authors tell us of a typical lunch enjoyed by President Taft. 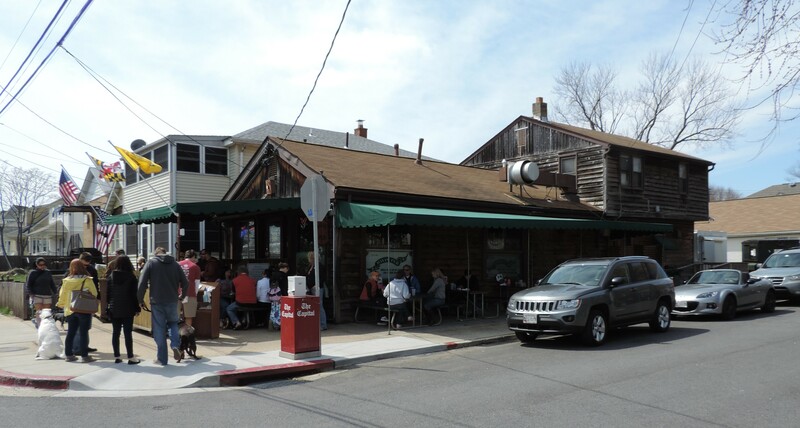 It might include, “Bouillon, smelts with tartar sauce, lamb chops, Bermuda potatoes, green peas, and—for dessert—raspberry jelly with whipped cream, salted almonds, bonbons, and coffee”. 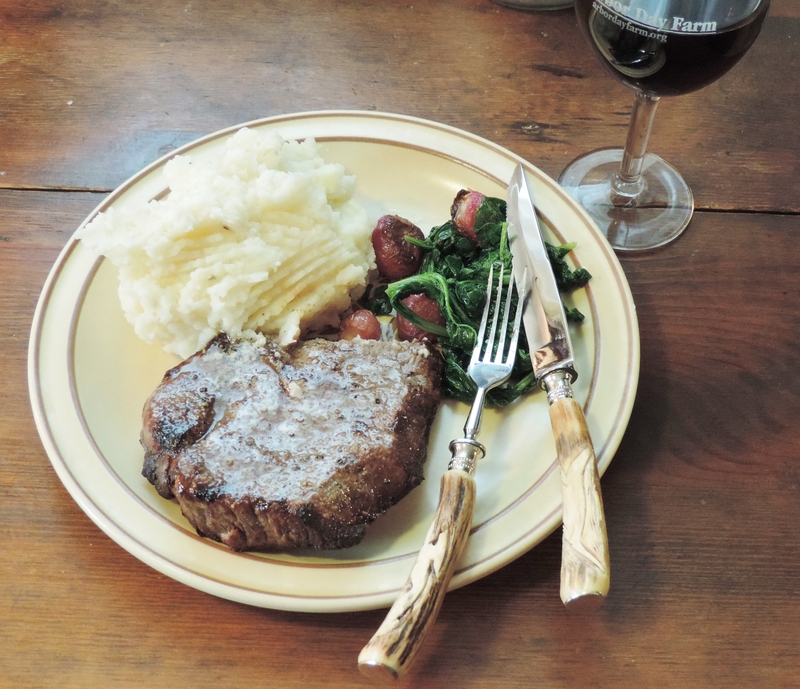 And in her article of October 31, 1935, for the Washington Post entitled “Favorite Foods of Famous Folk”, Pattie Ellicott provides us with a recipe for Taft’s favorite food, broiled steak. I would add that you should never pepper your steak before grilling or broiling. The black pepper may burn and become bitter. We went to our Farmer’s Market shortly after returning from our trip and bought some beautiful radishes with their greens. The roasted radish side dish in the picture went great with our steak. You can find the recipe for the dish at http://www.foodandwine.com/recipes/roasted-radishes-with-radish-greens. 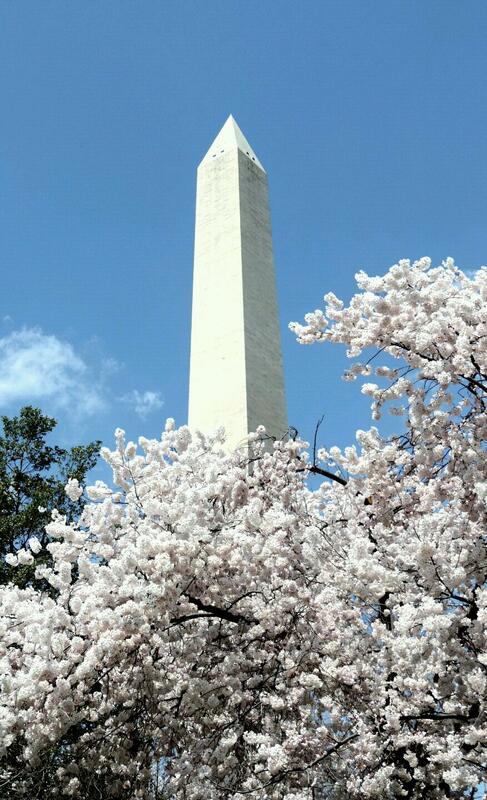 Enjoy a great steak and take an opportunity one spring to see the magnificent cherry trees in Washington D.C.! We stopped in Cape Girardeau, MO to have lunch with our granddaughter, Gabi. 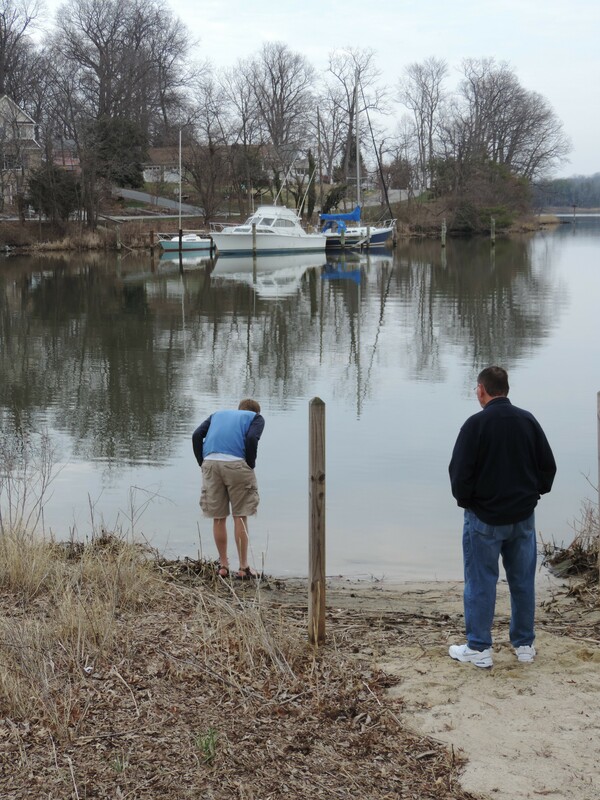 Our son with his dad down at the creek near his home in Maryland. 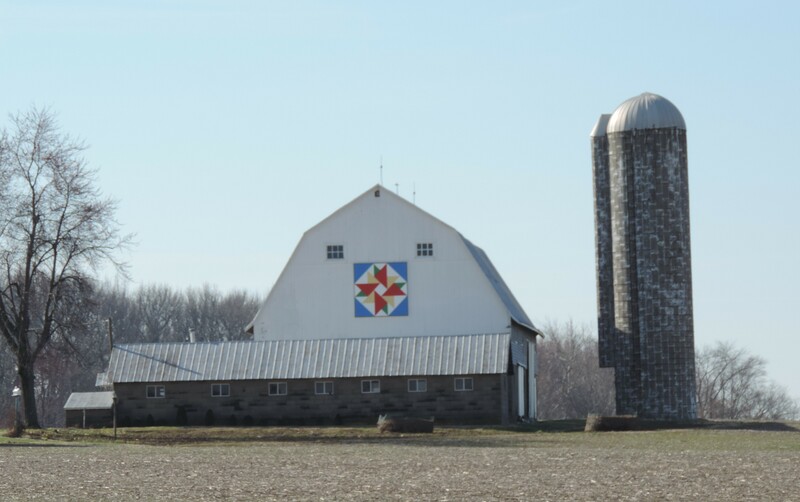 Barns throughout the countryside with the ever popular quilt plaques to add even more color to the landscape. 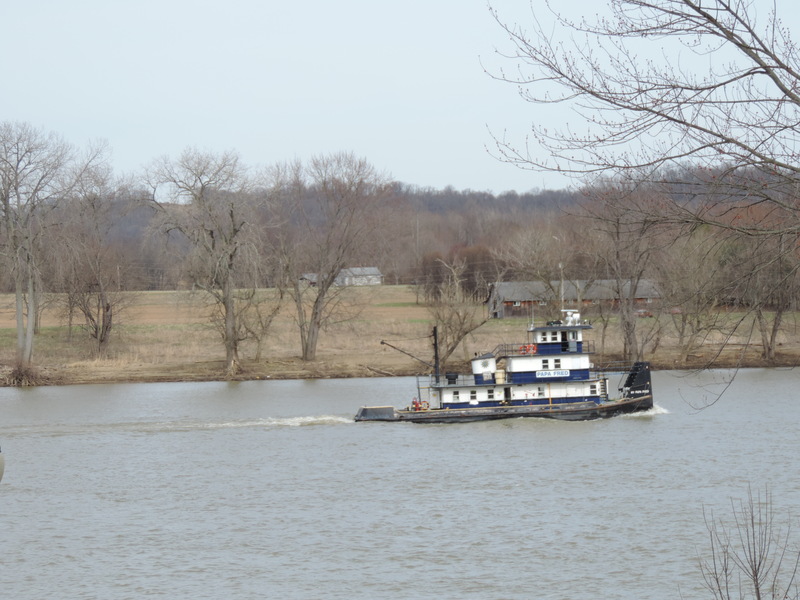 Tugboats on the Ohio River. 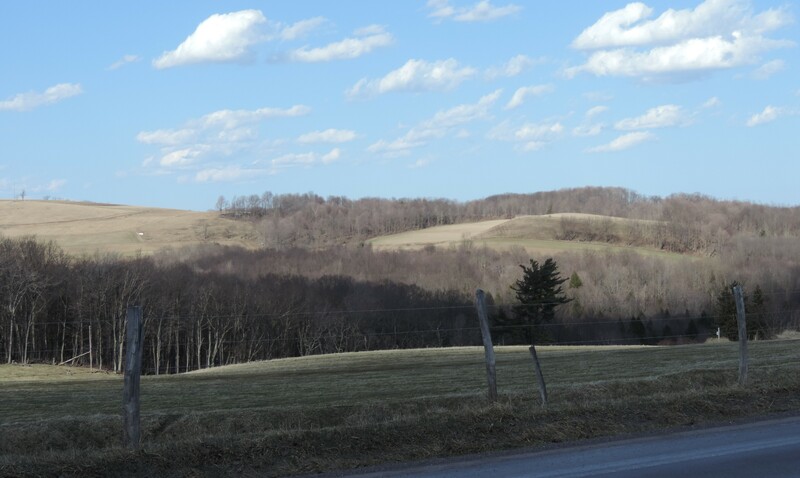 The Laurel Highlands in Pennsylvania. 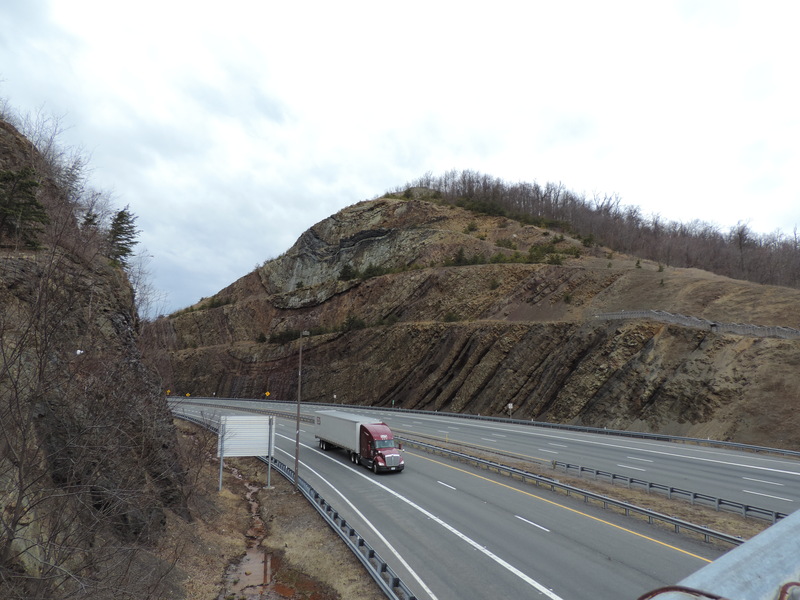 Sidling Hill on I-68 in northern Maryland. 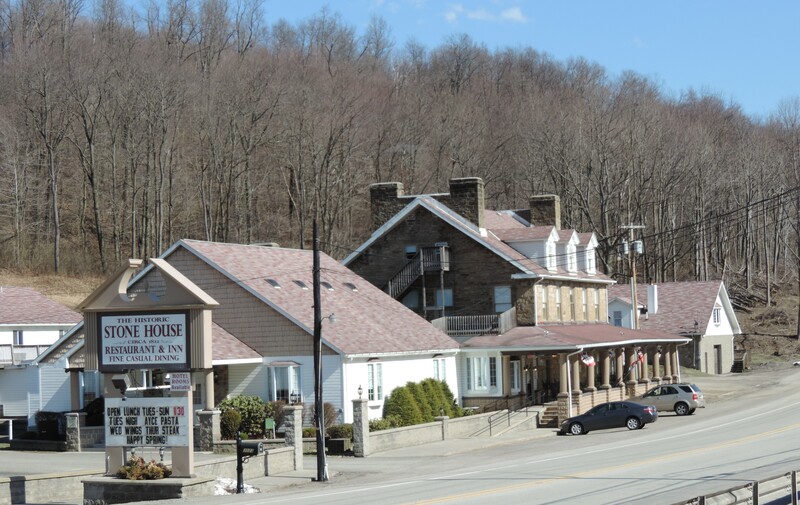 Chicken and Dumplings and Slow Pot Roast at Stone House Restaurant along the National Pike, US40, in Farmington, PA.
We hiked in Rocky Gap State Park near Cumberland, MD. 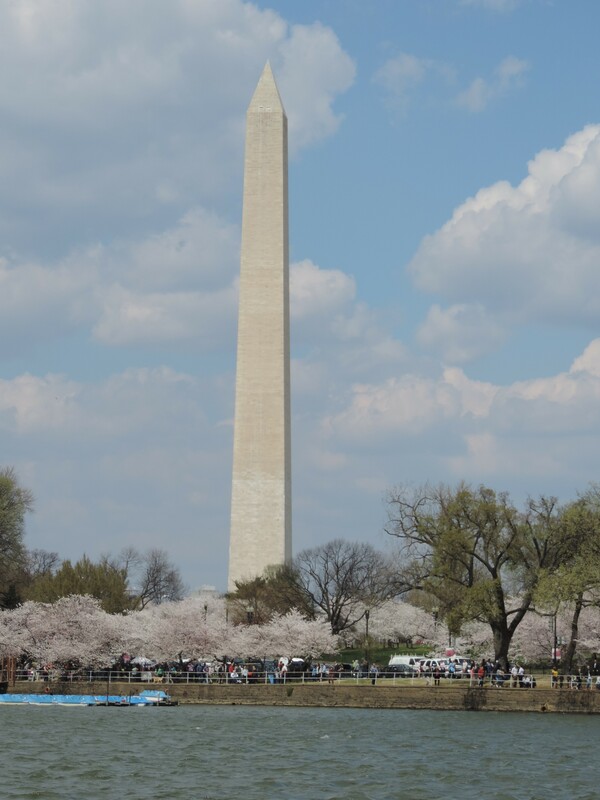 The Washington Monument with cherry trees in the foreground. 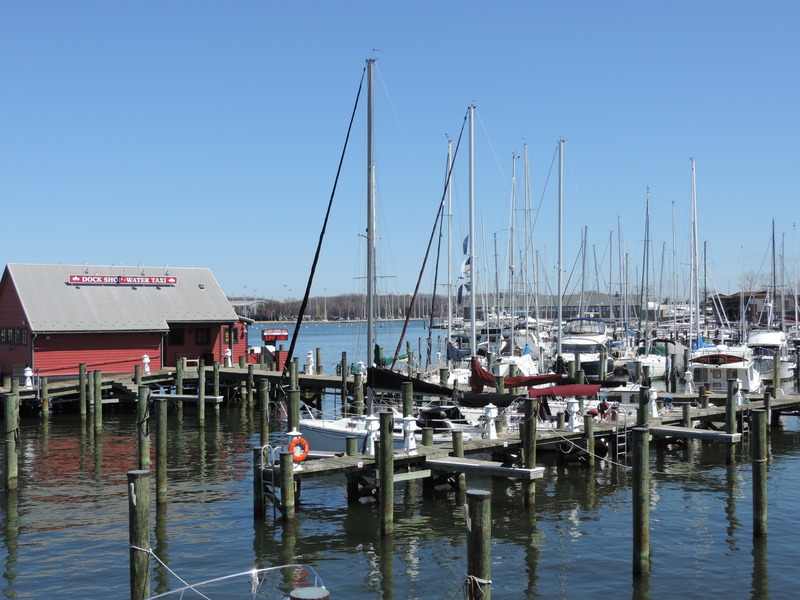 The Chesapeake Bay at Annapolis. 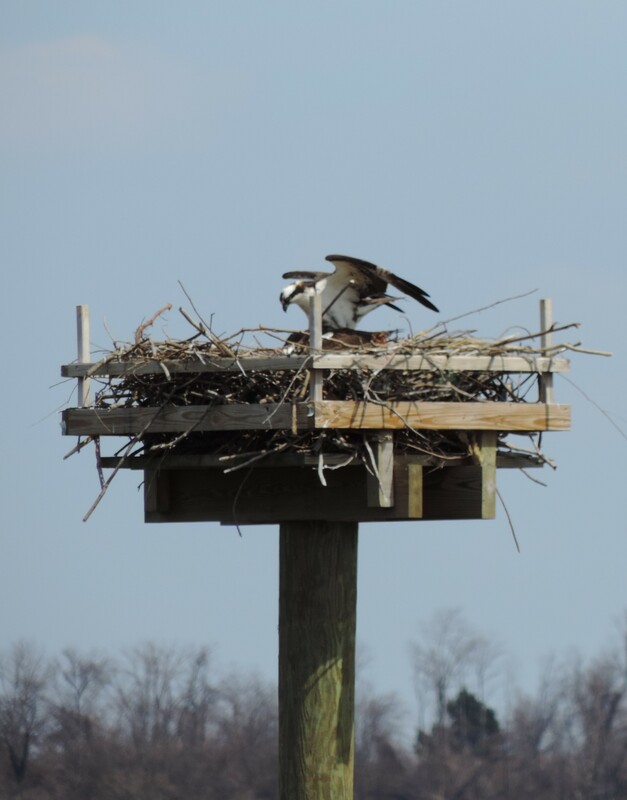 An osprey nest in the bay. 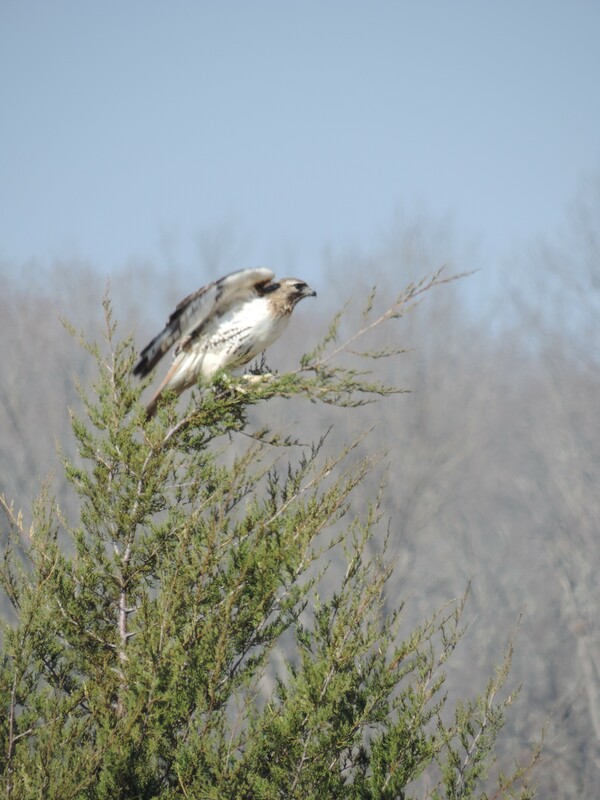 A hawk we noticed while driving through the countryside. 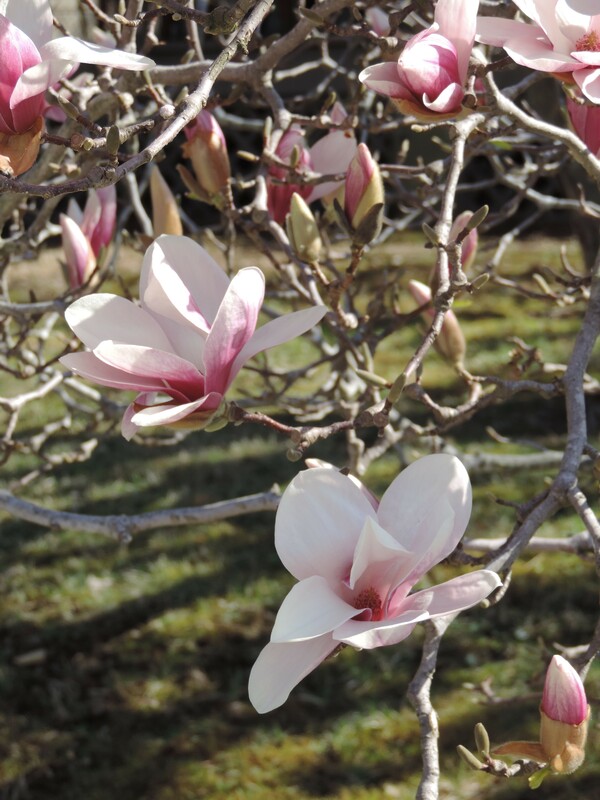 Tulip Magnolia–spring has finally sprung! And we still have more vacation to travel. I have already begun my research on many of the ideas I have for future blogs and recipes to share. 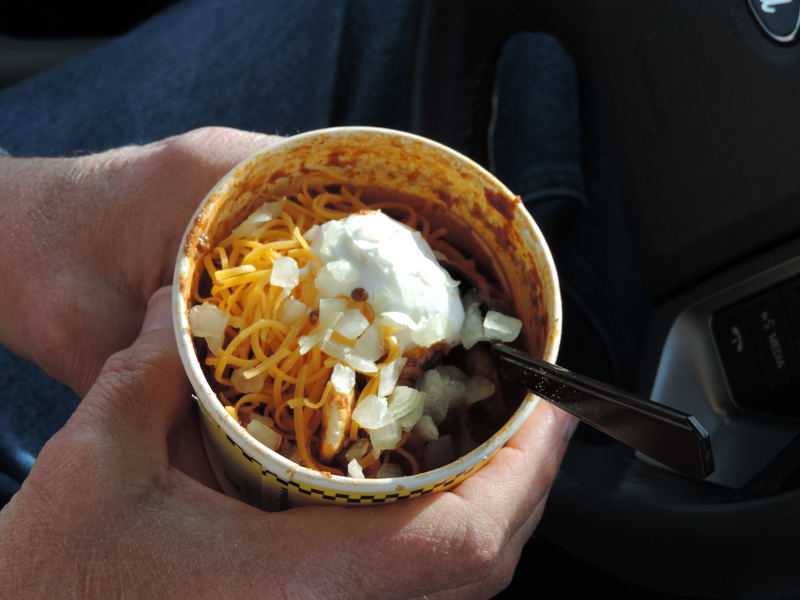 I love to travel, I love to enjoy differnet local cuisines, and I love sharing it with you on this blog. My first blog when I return home will be about the cherry blossoms and a recipe prepared by the President’s wife who received the trees for the United States as a gift from Japan. Until then, enjoy this new season, Spring…finally!